All set to shine! 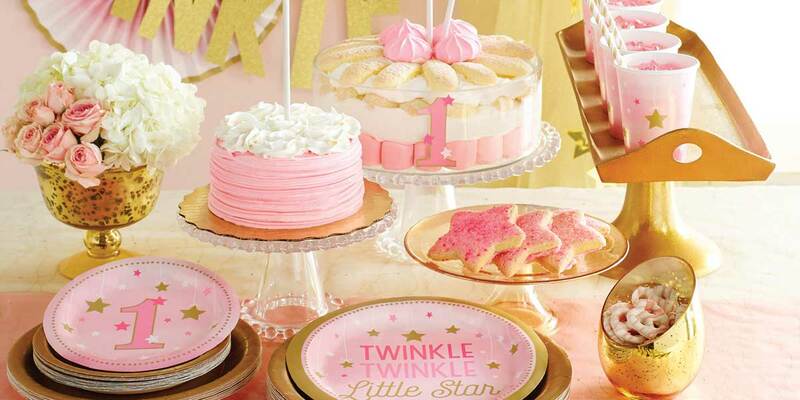 The birthday girl is always the most shinning star at a baby birthday party, and our One Little Star Girl collection ensures her star power with a line-up of adorable star-themed table decorations and serveware. Accent the assortment with solids from Solid Color Tableware collection in Gold and of course, Pink, and see the stars come out! This lovely collection comes with options of non-first birthday plates and napkins, baby shower invitations and personalized giant party banner with alphabet letter stickers which suitable for baby shower celebration as well as older girl's birthday party who adores twinkle stars. One Little Star Girl Plastic Tablecover 54"x 102"